How Much Monthly Google Traffic Can You Get? Now that Google Jobs has been up and running for about a year I thought I would share some stats around how much traffic it actually generates on a monthly basis. 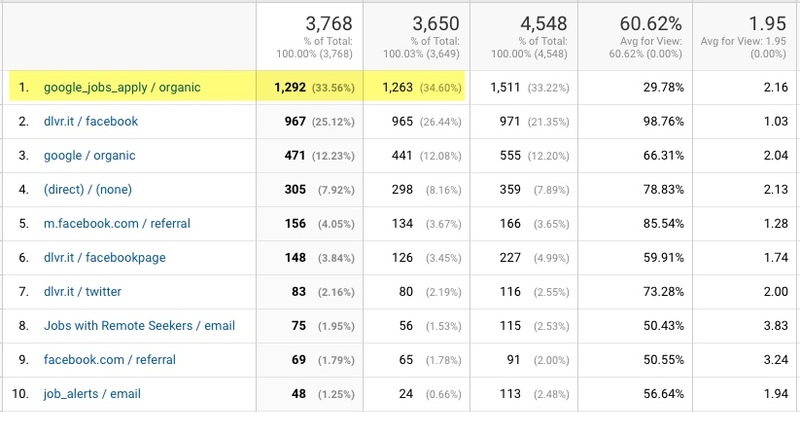 Below is a screenshot of Analytics from a small board I run called Jobs With Remote. It has about 800-900 jobs on it at any given time. About 1/3 of the traffic is directly from Google Jobs. 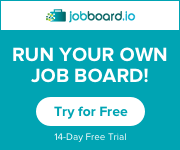 Your results may vary but the easiest way to get on Google Jobs is to use a GJ friendly platform such as SmartJobBoard or Jobboard.io and submit the sitemap to Google’s Search Console. 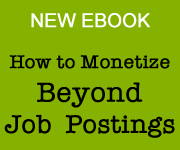 generally speaking the more jobs you have the more traffic you can get. I have still seen some issues with a few job boards. A client of mine who happens to use Jobboard.io has a few hundred jobs. Some appear on GJ while others do not. Hard to tell why they aren’t picking them all up, ….de-duping could be part of it or they just haven’t refined the crawling as of yet. Looking to increase your email conversions? 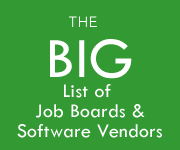 This checklist may be of help to job boards and other vendors. Here’s the ultimate cold email checklist. It has everything you need to know before you send your next cold email – the whole enchilada. Private Service Job Board Launches: Private service professionals of all types, from personal assistants to estate managers, can now find and apply for six-figure jobs quickly and easily using a first-of-its-kind employment website. Greenwood Global Enterprises, a privately owned, diversified company based in North Carolina, today announced the private beta launch of PrivateService.Jobs℠, the world’s first and only premium job board for private service professionals that exclusively lists $100K+ jobs. Founded by Curtis M. Greenwood, former chief of staff and executive aide to world-famous media moguls, PrivateService.Jobs features full-time, part-time, and temporary jobs for assistants, estate managers, housekeepers, nannies, butlers, private chefs, chauffeurs, domestic couples, yacht & aircraft crew, security personnel, and more. All listed positions, many of which are unique to the website, pay the equivalent of $100,000 USD or more per year. China’s Biggest job board 51job, published its quarterly sales numbers. These numbers tell us they are around a $500 million business in Asia. CareerBuilder Goes Full Google. After reviewing the results of its beta integration with Google Cloud Job Discovery, CareerBuilder announced it is fully migrating its platform to Google Cloud’s technology. 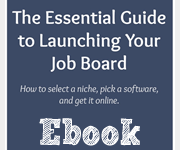 The job board was one of the early testers of Google’s Job Discovery tools, integrating the machine-learning solution into its traditional product. Now CareerBuilder’s site is fully powered by Google Cloud, which is also providing the search functionality for CareerBuilder’s 4,000 talent networks. In a press event in New Delhi, Google introduced a new search experience in India allowing users to search for jobs within Google. 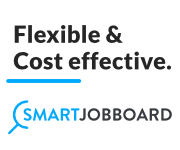 The company aims to make your job hunt simpler allowing you to find relevant employment opportunities from many popular job listing websites, online classifieds, and companies. The company has worked with a number of organizations including Aasaanjobs, Freshersworld, Headhonchos, IBM Talent Management Solutions, LinkedIn, Quezx, QuikrJobs, Shine.com, T-Jobs, TimesJobs, and Wisdomjobs to bring users the most comprehensive listing of jobs. Rumor has it Canada could be next. HealthcareSource, a leading provider of talent management solutions for the healthcare industry, today announced it has integrated Google Cloud Job Discovery to power its job search. 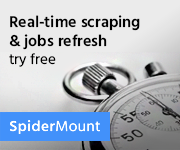 Launched in September 2017, HealthcareSource Job Board℠ has significantly grown to feature over 60,000 jobs, addressing the full continuum of care. Franklin Apprenticeships, a U.S. based consulting and capacity building firm dedicated solely to delivering on the promise for U.S. expansion of Apprenticeship Programs, announced today the beta launch of Ask Franklin, the first national apprenticeship recruitment portal of its kind in the U.S. that connects employers, aspiring apprentices, and intermediary training providers. 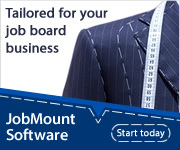 ExactMD is an example of a “matching job board”. Designed specifically for physicians the site launched about two years ago. Candidates can browse thousands of doctor jobs and get matched to their field of choice. By chrisr2 on April 1, 2018 | Comments Off on What’s On Your Mind…? 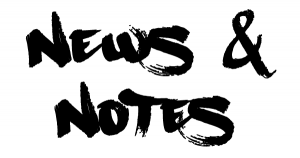 Hey readers, what’s on your mind these days? I’m looking for more stuff to write about so send me your questions or topics you want to read more about. Leave a comment or contact me here. Adzuna, the UK-based job search engine, has today announced it has been awarded the contract to replace the UK government’s job search platform, Universal Jobmatch. Following a competitive procurement process, the company will be providing the new service from Q2 2018. As one of the largest online government services, Universal Jobmatch connects millions of jobseekers with thousands of employers online and through job centres around the UK. The service will offer a fast, simple experience and powerful search using Adzuna’s technology, matching jobseekers to employers’ available roles quickly and effectively. The new service will be rolled out across the country this summer. The tool will continue to provide jobseekers with the ability to search for work 24 hours a day, 7 days a week. Jobseekers will be able to create an account to which they can upload CVs, create relevant email alerts and view their previous account activity. Changes to the user registration process will see a simpler, more modern way of accessing and managing job seeker accounts. The free job posting process for employers will also be streamlined. The UK’s leading independent job board, CV-Library, has today announced that it has acquired the Education-Jobs.co.uk website, as it continues to increase its network of 800+ recruitment partners. Education-Jobs.co.uk has been trading for 20 years and is a leading job board in the education sector, ranking in the top five on Google for ‘education jobs’. The acquisition of the site will ensure that CV-Library continues to drive applications to its clients’ vacancies across the sector. A Jerusalem appeals court upheld a ruling against a Jews-only online job board this week, ordering the website to be closed within seven days. “Avodah Ivrit,” or Hebrew Labor, allowed employers and job-seekers to advertise and apply for positions — but only if they were Jewish. Full story. 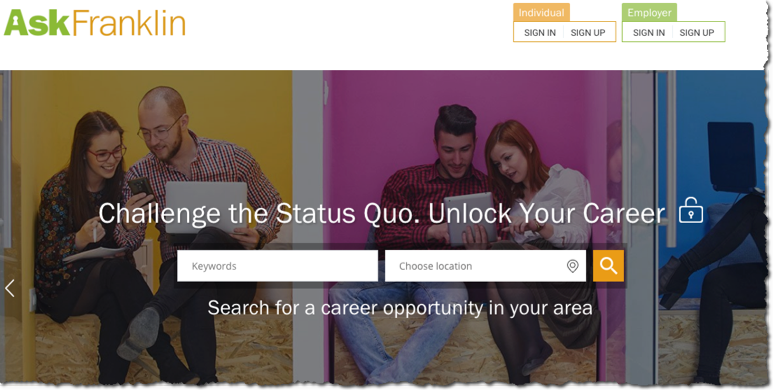 eJobXchange has launched a new interactive crowd-sourced recruiting network on their Xchange platform. The company has developed a crowd-sourced virtual social recruiting platform that compliments the current recruiting model rather than competing with it. 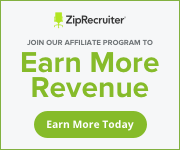 Their goal is to only find great candidates that companies may otherwise never find by leveraging a network of thousands of virtual social recruiting professionals willing to share job postings on their social media accounts. This enables eJobXchange to bring in qualified candidates, particularly candidates who may not be actively looking for a new job, cost effectively for their partners. So, I want to have a local job board. I live San Diego, CA and I want to focus on a specific City within the county which is Chula Vista, it’s a growing city. It’s about 15 minutes away from Mexico border, Chula Vista was one of the cities that pitched a proposal for Amazon’s new HQ, there’s been also talk about FB and Google establishing satellites offices here as well. So as you can see there are some great things happening here. So I own two domain names the first one is ChulaVistahires.com and careersforlocals.com and I don’t know which one two use? As I mentioned I want to focus on Chula Vista the city first but my end goal would be to focus on all of San Diego w/careerforlocals.com? So should I do two job boards? Start with ChulaVista gain experience and then establish big one? but then I would lose all that traffic from chulavistahires or my last thought was to use careersforlocals and add a sub name like ChulaVista edition…something like that??? If your end goal is the entire san diego area than I would suggest the careersforlocals.com which would allow you to expand anywhere over time without limiting your location reach. Another option may be to buy something like sandiegocountyjobs.com / sandiegocountyhires.com which has a more regional focus. A bigger regional site also has bigger upside since you have more employers to tap into. If it were me I’d probably go with the San Diego county name. But if you choose to start small you can always start with Chula Vista and redirect the domain to another when the time comes. For inspiration I suggest checking out a site like Fort Bend Jobs out of Texas and RecruitmentQueen out of the Philadelphia area. Both are small local sites but have two different types of domains. Whatever you do just make sure its a dot com. 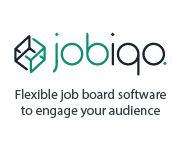 If you run a job board, JobAdX wants to chat with you about becoming part of their job ad marketplace. I call their new platform the ‘Adsense for jobs‘. The job for DISH looks just like organic listings except for the sponsored by text in the upper right. If clicked, Nerdyhire earns revenue on a CPC level which is averaging 20-25 cents per click. That type of return is two to four times what other backfill provers will typically give you. If you currently mix in Adsense blocks in your results try replacing one or two as a test. 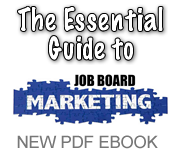 The JobAdX block should offer a higher return for each click. After all, its better to have a job in your results than an advertisement for something else, right? Right now this service doesn’t work with existing hosted software ( like Smart or Jobboard.io) because those sites don’t let you touch the underlying code. But if you use a WordPress based job board theme or have coded your own site this would be a great add-on to your monetization strategy. It doesn’t replace your existing backfill but it is another way to make money off job seeker clicks. Signup here to get a demo scheduled or learn more.